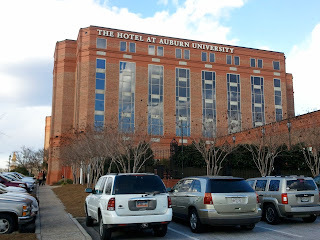 With the Alabama-Auburn rivalry, the saying is you have to "declare" your allegiance to one or the other. Well, my family has Crimson Tide ties. It's actually my in-laws. Actually my ex-in-laws. But they shower the kids with 'Bama gear, and the kids know how to greet other Alabama people with "Roll Tide." But in the TV business, on the road, there are no such allegiances. Our allegiance is to where we stay. And I'd choose to go to Auburn 100 times out of 100. Tuscaloosa does have a nice campus and a fun downtown area, but we usually stay at some shack off of I-20. 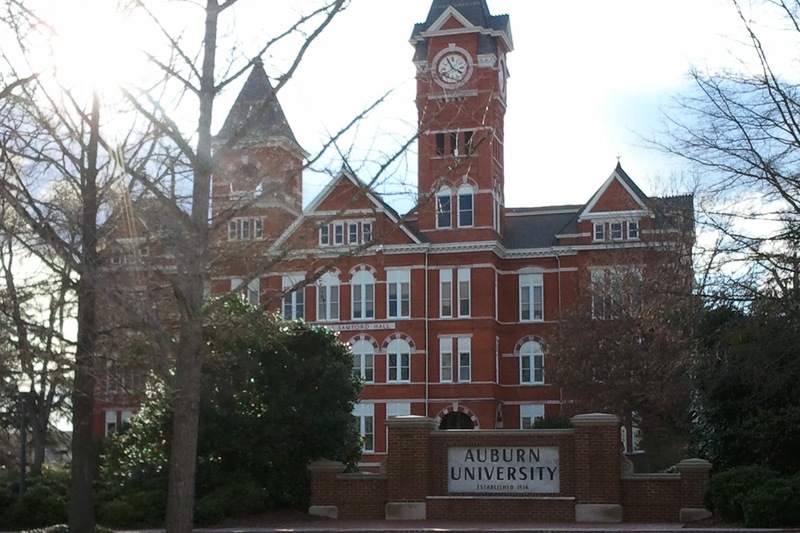 Auburn's campus is not only more aesthetically pleasing, but we often stay downtown within walking distance of the activity. 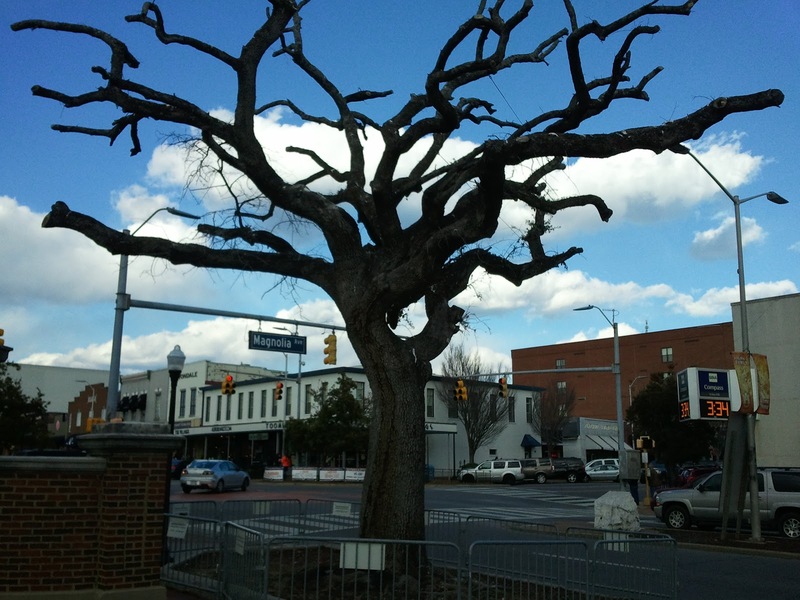 Of course the Auburn University centerpiece is less beautiful today as the famous Toomer's corner oak doesn't look so hot, courtesy of an Alabama wacko. But the schools have reciprocated goodwill in the wake of the Toomer's oak fiasco, and the tornado that leveled much of Tuscaloosa in the spring of 2011. All while winning the last 4 BCS championships.